The Twelfth Doctor was announced last night and the Whovians here at the Studio are abuzz over the news that Peter Capaldi will be taking over from Matt Smith. It’s by no means the first time the Time Lord will be portrayed by a Scot, with Sylvester McCoy and David Tennant having filled the Seventh and Tenth positions, but it’s hard to imagine Capaldi won’t be using his own Glaswegian accent in the role, which will feel like a first. 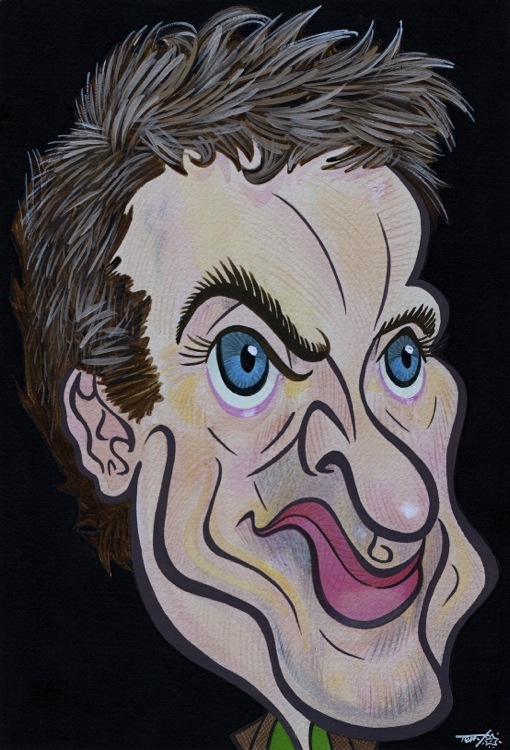 Here’s our caricature of the man himself.